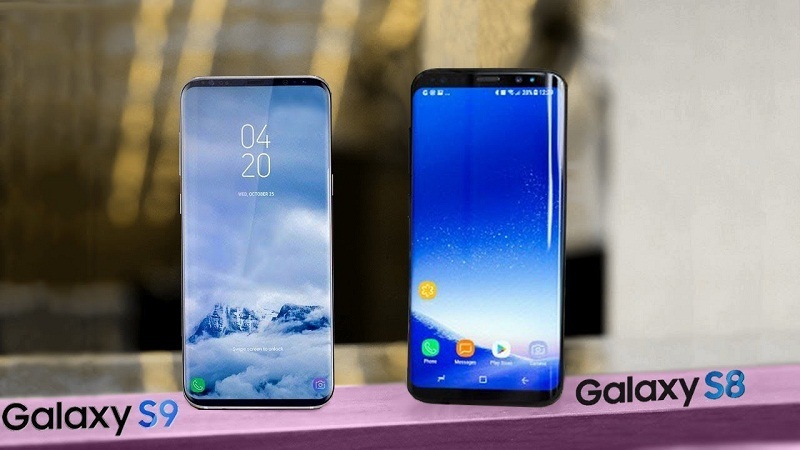 Magazinzoo.com Reviews,Technology and Gadget Samsung Galaxy S9 vs Galaxy S8, what differences will there be between them? Next February 26 will be the date on which the Samsung Galaxy S9 will be presented. The Korean manufacturer will use the framework of the MWC 2018 to show the world its new flagship. Now, taking advantage of the leaks that have occurred in recent months. 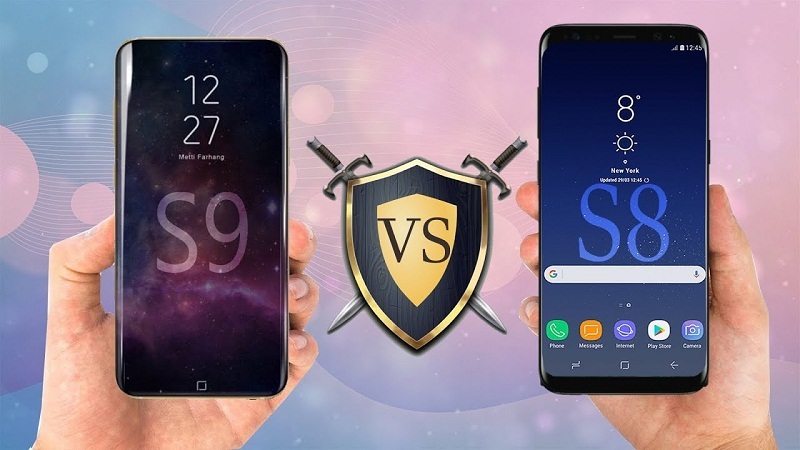 We bring you the main differences we expect between the Samsung Galaxy S9 vs Samsung Galaxy S8. For now, the information we have about the Samsung Galaxy S9 are rumors and leaks. But seeing the sources of many of them and remembering previous years. 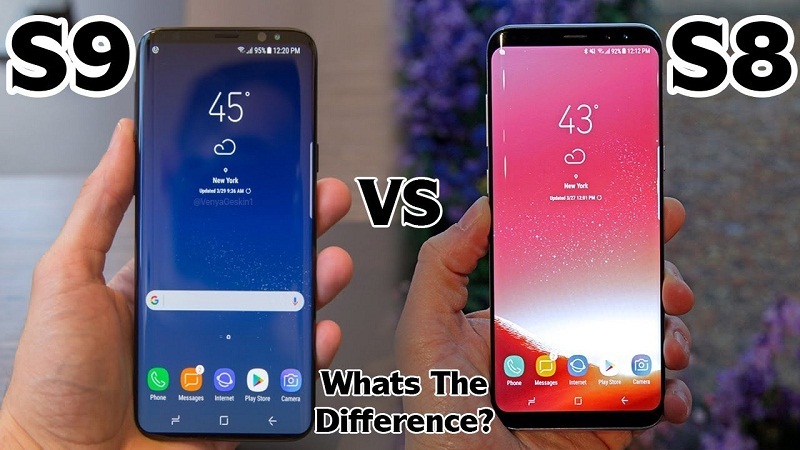 We can get a rather accurate idea of the main differences that will bring the new flagship of Samsung with respect to its predecessor. Both devices have fast charging feature. If you want to charge fast your smartphone, learn how to make your phone charge faster. Initially, we should not expect many aesthetic changes regarding the Galaxy S8 although it is true that the design of the Samsung Galaxy S9 will surprise us in some sections. The first noteworthy detail will be the material on which the next Samsung flagship will be built. And it is expected that the Samsung Galaxy S9 has a chassis made of an aluminum and magnesium alloy. The Korean firm has already used this material to build the Samsung Notebook 9 of 2018. So, it is no wonder that it is back to betting on this material. It patented the name Metal 12 to shape the next family workhorse. Galaxy S.
We speak of a material that is more resistant and durable than aluminum. It would make the Samsung Galaxy S9 more resistant to bumps and falls. Already with the Samsung Galaxy S8 tried to use this material but remained in a prototype. Now that two years have passed, the manufacturer has come up with the key to be able to mass produce chassis manufactured in this alloy. The camera of the Samsung Galaxy S9 will be much superior to that of the Galaxy S8. Where we will notice a notable difference will be in the photographic section. The Samsung Galaxy S9 camera will surprise us. As simple as that. While it is true that the Samsung Galaxy S8 camera was already quite good, there are a number of factors that will make a difference. And it is expected that the Samsung Galaxy S9 mount a new sensor of 12 megapixels that will have a variable aperture from f / 1.5 to F / 2.4 to adapt to the light conditions of the scene we want to capture, in addition to making Better photos with bokeh or defocused effect. Another novelty that will bring the camera is the super slow mode that will capture videos in slow motion at a speed of 960 frames per second. The new ISOCELL sensor will provide an even faster and more accurate approach, not to mention the optical zoom, optical image stabilization, video recording in 4K at 60 fps, DSLR mode and other features that incorporate camera Samsung Galaxy S9 that will make be much better than the Samsung Galaxy S8. Another major difference between the Samsung Galaxy S9 and the Samsung Galaxy S8 will see in the position of the fingerprint reader. One of the few criticisms that received the Galaxy S8 was motivated by the placement of this buy prednisolone tablets for dogs biometric sensor, causing us to force a bit to reach the point where it was located making it not too comfortable. It seems that Samsung has learned the lesson, as we have seen in the Samsung Galaxy A8 2018 that has the fingerprint reader better positioned. So, it is more than likely that the Samsung Galaxy S9 follows in the footsteps of this model. The other big difference we will see in the stereo speakers of the Samsung Galaxy S9. The rumors suggest that they will be signed by Harman / Kardon so we can expect a surprising sound quality. 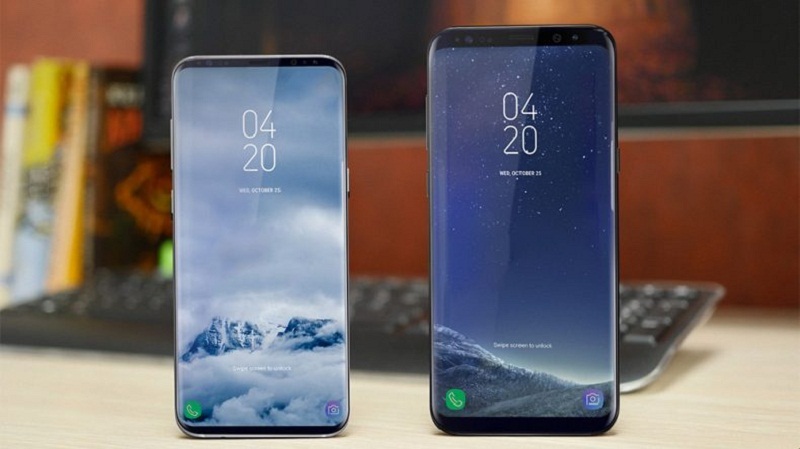 Otherwise, they will be almost the same: an infinite screen for the Samsung Galaxy S9 has a minimum front frame and optimize their dimensions to the maximum. Music lover? Quiet that the Samsung Galaxy S9 will keep the 3.5 mm jack. Similar hardware, although with some surprises. The technical features of the Samsung Galaxy S9 are an open secret. It is quite easy to guess about the hardware that will mount the next manufacturer’s star phone. If the box is filtered with all the specifications, there is little room to make mistakes. As you may have seen, the Samsung Galaxy S9 will have a 5.8-inch screen that will achieve a QHD resolution through its Super AMOLED panel with 18: 9 aspect. There will be two versions, one with the Samsung Exynos 9810 processor and another with Qualcomm Snapdragon 845 processor. With 4 GB of RAM, the Galaxy S9 will have IP68 certification and 3,000 mAh battery. As you have seen, it will technically be very similar to the Samsung Galaxy S8. The only noticeable difference we see in the processor. The camera will be another differentiating element so we are going to leave it for later. If the Samsung Galaxy S9 and the Samsung Galaxy S8 mount such a similar hardware. Will we notice a difference in performance? Evidently yes, although it will be little remarkable. The main difference we will see in the autonomy of the Samsung Galaxy S9 that will be superior to that of its predecessor. Although both models are expected to have the same 3,000 mAh battery. The S9 can finally mount a 3,200 mAh, the SoC Snapdragon 845 optimizes processes to extend the range of the terminal a bit more. Finally, the rumors are true and the Samsung Galaxy S9 mounts a graphene battery. The difference in this aspect would be impressive. We know that Samsung has developed a technology that allows reducing the thickness of the screen. As well as an improvement in its base plates that will make the version with Exynos 9810 have more space to add other components. Or expand the size of your battery. But in this case, the problem is that this improvement would only be implemented in the version with Exynos processor. So, it would not affect the model that will arrive. In the comparison of Samsung Galaxy S9 vs Galaxy S8, the Samsung Galaxy S9 will be very similar to its predecessor. Except for the materials used in the construction, stereo speakers and the position of the fingerprint sensor. And inside we have a more powerful terminal and a series of new features. Such as, its impressive camera, which will make it worth the change of phone. Previous Previous post: How to choose dress according to body shape or type?